Completion of the water line on Nasco is continues this week from Monday, April 2 through Thursday, April 5 and into next week through Tuesday, April 10. Construction on the water line will require a full closure of Nasco from 2600 White Horse to 6411 Nasco. The watermain is complete. Services and tie-ins will be completed. The completion of storm drain lines on Nasco is contingent on the activation of the new water line and service lines: this requires testing, chlorinating, and joining the new system into the existing water system at White Horse and Cavileer. The schedule below is projected as accurately as possible but, all dates are subject to change due to the nature of construction and weather. The following work on Bull Creek will necessitate a full closure of the west side of the road between 2222 and White Horse until further notice. Curb and gutter removal on the west side of Bull Creek between 2222 and White Horse will occur on Monday, April 2 and Tuesday, April 3. Cement slurry mix in the roadway will occur Monday, April 2. The mix will be completed approximately 640 feet at a time. Curb and gutter is scheduled to be poured on Bull Creek between 2222 and White Horse beginning Monday, April 2 and ending Thursday, April 4. Driveways will be poured on the west side of Bull Creek between 2222 and White Horse beginning Wednesday, April 4 through Thursday, April 5. Crews will prime the west half of Bull Creek between 2222 and White Horse on Monday, April 9. Traffic will be switched from the east to the west side of Bull Creek between 2222 and White Horse on Tuesday, April 10. Crews will pour flowable cement on the curbs and gutters from Wednesday, March 28 through Friday, March 30 on the west side of Bull Creek between Shoal Creek and 2222. 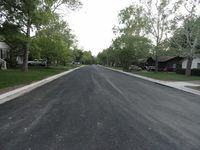 Cement slurry mix in the roadway on the west side of the road between Shoal Creek and 2222 will occur Thursday, April 12 and Friday, April 13. The mix will be completed approximately 640 feet at a time. The first 2” of asphalt was laid on the west side of Bull Creek between Shoal Creek and 2222 on Monday, April 2. Plans to lay sod and complete landscaping on the west half of Bull Creek between Shoal Creek and 2222 will occur sometime in the near future. The contractor is in the process of scheduling this work with the subcontractor. Construction will raise castings beginning on Monday April 9 through Tuesday, April 17 on the west side of the road of Bull Creek between Shoal Creek and 2222. We will notify residents as we approach their block. Once the west half of Bull Creek is milled, the remaining work on each block will take an additional 3-4 weeks, meaning work will progress at the pace of one block per month. Letters with details about the construction will be hand delivered door to door to the residents on Bull Creek. Once again, please note that the schedule is subject to change based on weather conditions or other unforeseen circumstances. We ask again that all residents please obey traffic control signage during the construction and do not go around closures. Failure to do so can result in traffic accidents, pushing cars or pedestrians into work zones or into trenches. Bypassing the traffic controls endangers fellow residents and work crews. If disregard of the traffic barricades continues, it will be necessary to ask APD to monitor the area and issue tickets to violators. Please avoid parking your car in the work zone, as this may cause delay to the progress on the project. Finally, please stay clear of the work zones and do not cross into the work zones. These safeguards are established for your protection and the protection of the construction crew. Again, safety of the citizens of Austin is our main concern, so we respectfully ask for your cooperation. On her way home from HEB yesterday (Weds.) evening, my wife hit an exposed water valve riser pipe at the White Horse/Shoalwood intersection, blowing out a tire. We suggest exercising extreme caution along this detour route, until the contractor takes care of this.